This artwork is especially beautiful! I agree, I love the artwork!! Ahhh!!!! So goood. Wow so much is shifting/morphing… becoming so clear right now. It seems as though all is truly happening lightning speed. As soon as I think something worlds around me are shifting. We are such powerful creators and the sun is amplifying this tremendously now. It truly is the jump on or off. I am seeing how any stuck feelings are simply lack of energy moving through the body that are wanting to birth creation into existence. Acting on our impulses now are guided by spirit and we must go! Love love love. Thank you!!!!!! How inspiring. A wonderful time to awaken what has been dormant in me for too long. I want to sing & dance as I once did. I want to feel the blessings of insight that was so divine. I got lost in the painful reality’s of death of my mother-father & recently my dear brother. I know they would all want me to continue in my life path. It’s been a rough time. 14 years ago I lost my mom. 2013 dad & my oldest of four brothers in April one day before moms birthday! I pray the heavenly light shine on me once again & show me what I once knew to be true! My re-birth is here! And my angels will be with me to light & inspire my way! Thank you for sharing these insightful reflections. They help me reflect and move forward with new perspective. Hi Mary, just as a surfer doesn’t try to fight the powerful waves of the ocean, you don’t have to fight the powerful waves of your emotions. It means you can skillfully navigate your emotions and let them take you wherever they may go, riding with them and above them at the same time like a surfer. But once it is over, you let it go just like the ocean lets one wave go as another takes form. It is important to remember that you are not your emotions, they are there to teach you and guide you, not to define who you are or hold you back. Ride the wave of sadness, happiness, guilt, regret, love, whatever it is… acknowledge it and feel it and learn from it whatever message meaning or lesson you need to get from it, and when it is over redirect your focus and attention back to where it needs to be. No need to fight against it, just let it be and then continue to move forward. I agree with your comment about the emotions. I have seen so many people get stuck in one emotion or another, (usually self-pity or envy). Gratitude for each Lesson is the correct way to riding the emotions. Namaste. MM, maybe you will consider creating a tarot deck? Your artwork is beautiful and powerful, and I think the symbolism, beauty and resonance within it will work very well in tarot. A MM deck will spark beautiful and powerful readings and insights! Thank you, as always, for this space. Happy New Moon! May we all feel the power of depth and renewal! So ready to leave behind the old stories and welcome in the new! Thank you for sharing all of this juicy wisdom! Thank you Mystic Mamma and it’s contributors… I appreciate all the information provided. 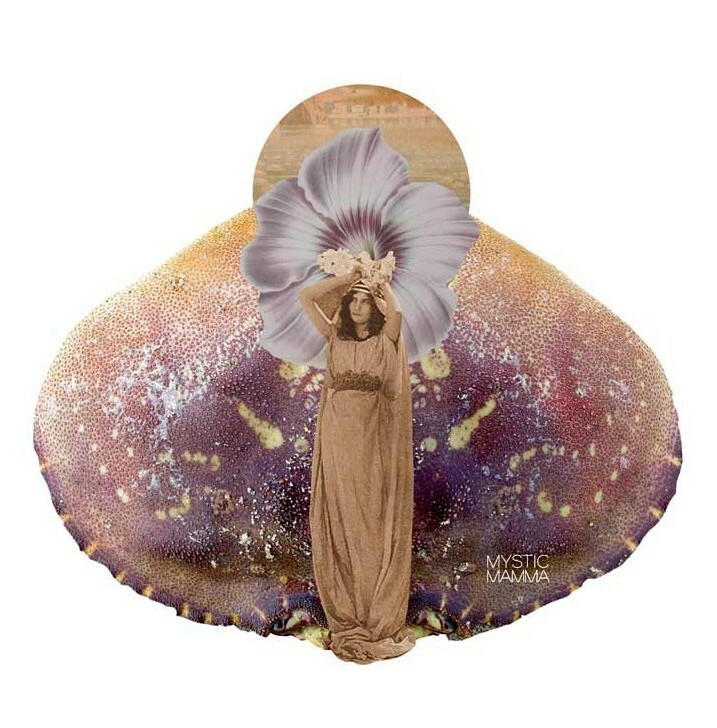 As I was feeling the Shadow side of Cancer in the last couple of days, I pondered, wrote, swam and took a long warm salt bath yesterday to CLEANSE… This definitely offered me relief and am continuing to meditate, ground, stay balanced and Empower Myself in these New Moon Energies in the home of Cancer. Blessings to All. Namaste. I was born today (that is, a few years ago) and a special time it is indeed. Linearity blocks you! Let’s get cyclical!